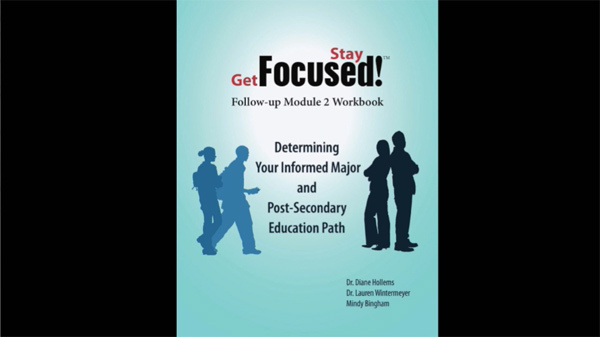 The Get Focused...Stay Focused!® follow-up modules asks students to continue the self-discovery journey started in their Career Choices course and to take an in-depth look at the educational opportunities available to them. Each student will expand on their 10-year Plan throughout the three follow-up modules as they discover more about themselves, their goals, their educational options, and the world of work. 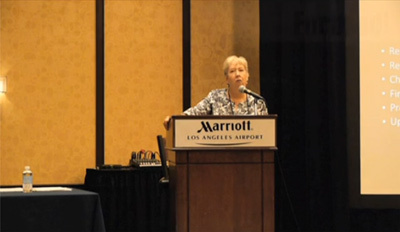 Upon completion of this coursework, students will have chosen a preliminary career path. This choice is made after researching “ideal” careers in their freshman course, exploring and researching high-demand careers in the Get Focused...Stay Focused!® Follow-up Module 1, and then applying the same process to STEM careers, which they do in Module 2. Students’ career choices then inform their choice of a major, program of study, or training plan, and this information is used in determining which college or training program meets their specific needs and goals. Along the way, students revisit, re-evaluate, and upgrade the decision-making prompts and systems learned in their freshman course. When it comes to finding relevant college and career information, nothing can compete with the Internet. Students link to variety of interactive research databases through My10yearPlan.com® as they learn to find and use the current, reliable, and reputable information freely available through the U.S. Department of Labor and Department of Education web sites. These powerful tools can help students make informed decisions as they build valuable technology skills using real-world applications they can utilize throughout college—and into adulthood. 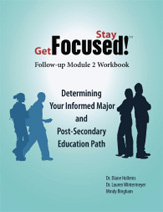 Whether students are planning to attend college or post-secondary training or to head straight into the workforce, Get Focused...Stay Focused!® Follow-up Module 2 will help them develop the attitudes, learn to use the tools, and practice applying the information required to keep their options open and make solid choices, now and in the future, enriching their life.